Last year I wrote a post about how card manufacturers should try to enter the video game industry. 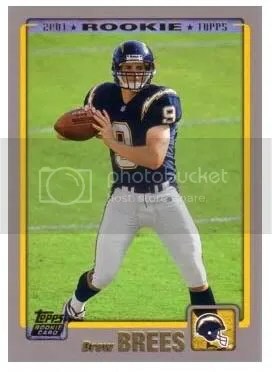 Well, it looks as if Sports Card Info has influenced Panini to do so 🙂 Panini and EA Sports have teamed up for the new Madden 11. 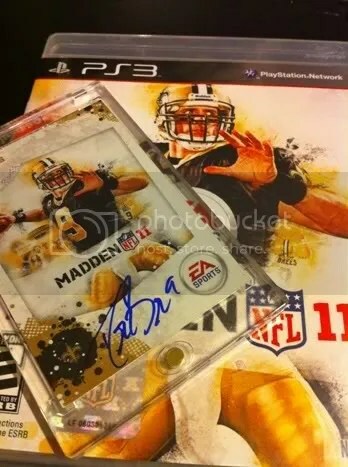 Panini has produced 50 exclusive Drew Brees on-card autographed cards that can only be obtained inside copies of Madden 11. This is a great step in the right direction. The video game industry is huge, and there isn’t a much more popular sports game than Madden. This is the type of innovation I like to see within The Hobby. I hope other card manufacturers decide to do the same with other sports. Almost every year there seems to be at least one team that looks like they’ll go undefeated, but it usually doesn’t happen. I’m 100% sure the Saints and Colts will each lose a game this season and my ’72-’73 Dolphins will be safe for another year. 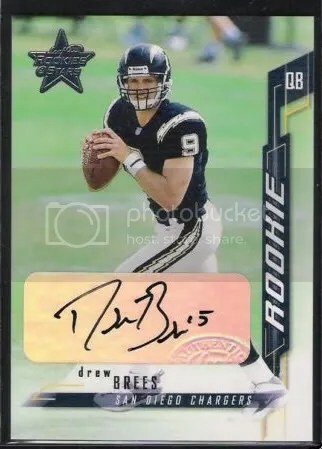 Brees has a ton of rookies from various products in 2001. Tonight on the way home I stopped at one of my local card shops because I needed to pick up a ball cube holder. 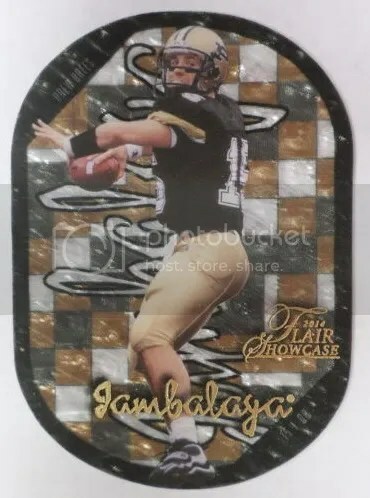 While I was there, I picked up 2 packs of 08 Donruss Classics and 2 packs of 08 Upper Deck Football. The Classics packs yielded a Doak Walker insert #’ed/50 and the Upper Deck ones gave me a Drew Brees and Peyton Manning jerseys. I don’t think thats too bad for 4 packs.